WASHINGTON — A sweeping $52 billion veterans legislative package finalized by the Senate Wednesday will have wide-ranging effects on service members of every generation and their family members, but most of the impact won’t be seen until years from now. That’s because most provisions of the measure — which include overhauling the Department of Veterans Affairs community care programs and expanding caregiver benefits to older veterans — will take months or years to put in place. The bill, dubbed the VA Mission Act, was passed easily by the Senate after a 92-5 vote. House lawmakers overwhelmingly passed it last week. It now heads to the White House, where President Donald Trump has already signaled he’ll sign it into law. The VA Mission Act, expected to be taken up quickly in the Senate, includes new community care rules, a caregiver stipend expansion and more. A day earlier, committee ranking member Sen. Jon Tester, D-Mont., called the measure a tremendous benefit to veterans and insurance against efforts to dismantle VA medical care. Privatization has been the buzzword around nearly every veterans policy debate in the last year, and especially since former VA Secretary David Shulkin said he was forced out of office in March by political operatives within the administration looking to erode department medical efforts and send more patients to private-sector clinics. Currently, more than a third of all VA funded medical appointments take place in the private sector. About 30,000 appointments a day are funded through the VA Choice program alone, one of seven different community care programs run by department officials. The VA Mission Act sets out the outline to consolidate those disjointed programs into a single new funding stream, with the goal of simplifying use for veterans and medical providers. It requires veterans to become eligible for private-sector care options if VA does not provide adequate medical options for patients, including long travel times, long wait times or poor service ratings. It revises payment rates for community care to Medicare rates, to ease concerns about reimbursement for those visits. And it would also authorize two walk-in visits at local private-sector offices for any veterans who have used department health care services in the last two years. Those appointments may require a co-pay. But VA officials would remain at the core of veterans health decisions. Union officials have said that’s not enough to stem concerns about resources being shifted to private care, but Democratic supporters like Tester insist it’s an important distinction. Working out the eligibility standards for who can receive outside care and how those decisions will be made is expected to take about a year. That means most veterans won’t see any change in how their medical appointment requests are handled until at least spring 2019. In the meantime, the bill includes $5.2 billion in bridge funding for the existing VA Choice program, to ensure that current private-sector medical appointments for veterans aren’t interrupted. The Congressional Budget Office has estimated the caregivers stipend expansion could affect more than 41,000 veteran families in coming years, but similarly won’t be implemented immediately. Under current law, only caregivers of veterans from the post-9/11 era are eligible for monthly stipends through the department. The new proposal would expand that to veterans of all eras, first starting with pre-1975 veterans and later phasing in the remaining group. That will take place two years after the next VA secretary certifies to Congress that its information technology systems are ready to handle the new workload, after concerns over the past year that current VA stipends for caregivers are handled inconsistently. VA officials have not said how long that work may take. Critics of the measure have said they worry the volume of new applicants could overwhelm the existing system, hurting benefits delivery to existing participants. House and Senate lawmakers have vowed close oversight on the issue in months to come. David Shulkin has promised to provide more mental health support and caregiver stipends. 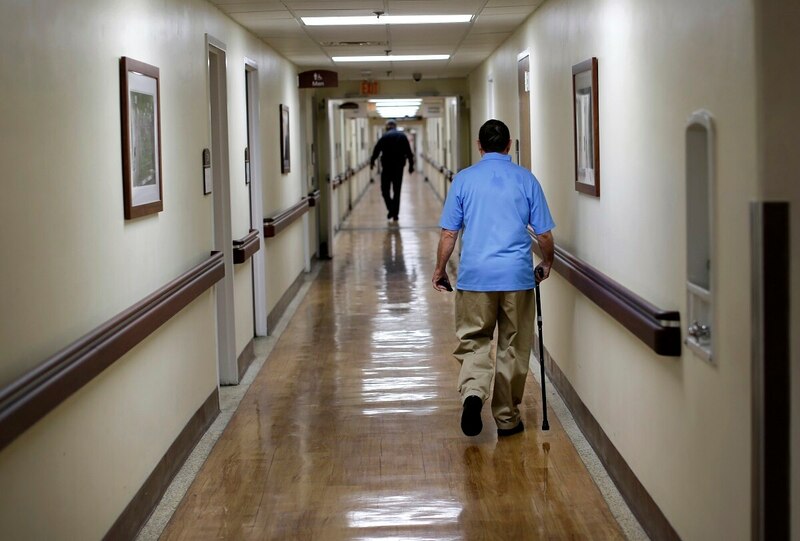 An review of VA facilities — similar to the military’s base closing commissions, although supporters bristle at the comparison — is the third major initiative in the VA Mission Act but won’t have any real impact for another four years. That’s because under the measure, the first report to Congress on possible VA facility closings or expansions won’t come until sometime in 2022, after years of study and deliberation. The legislation calls for the president to establish a nine-member Asset and Infrastructure Review Commission, with representatives from veterans service organizations, the health care industry and federal facility management. The panel would meet in coming years to set parameters for their work, with an eye towards “the modernization or realignment of Veterans Health Administration facilities.” That could include closing, reducing or expanding a host of VA health facilities across the country. But VA officials have repeatedly warned that their current footprint includes hundreds of outdated or obsolete facilities, and department administrators have severe restrictions on managing those locations. Supporters admit the idea of closing VA buildings nationwide will be controversial, but said too many existing facilities are aging and underused. Despite those long-term impacts, numerous lawmakers and advocates characterized the legislation passage as an immediate win for veterans. In the lead-up to the vote, more than 40 different veterans organizations offered support for the massive policy bill. Tester lauded the result but also said the ambitious legislative package “puts a lot of pressure on VA to deliver.” Advocates have said the next fight will be monitoring how the department implements the various initiatives in coming months, a process that likely will result in more congressional hearings and contentious negotiations. White House officials have not said when the president is expected to sign the measure. VA officials have warned that the legislation needs to be enacted before the end of the month to prevent funding disruptions with the current VA choice program.